Only 7 days to go till CES (Consumer Electronics Show) 2013 kicks off in Las Vegas in USA and Samsung has already started teasing the products it will be showing off. It seems that Samsung is coming up with new innovative technologies that will make sure they retain the top spot in the tech market. Samsung Tomorrow has recently posted two new products that will be unveiled in CES 2013 in its blog. The Portrait Shape TV ? As the blog is in Korean language, I tried using Google translate to find out what it actually meant. “New TV did not exist in the existing molding and over time, the do not change, Timeless Gallery Timeless gallery foretell … Samsung TV @ CES 2013” – Well, hard to derive what its trying to say according to Google Translate. Luckily, Samsung tomorrow’s Flickr Stream has it translated in a better way. From the translation it seems that Samsung is coming up with a new rather unique TV design. 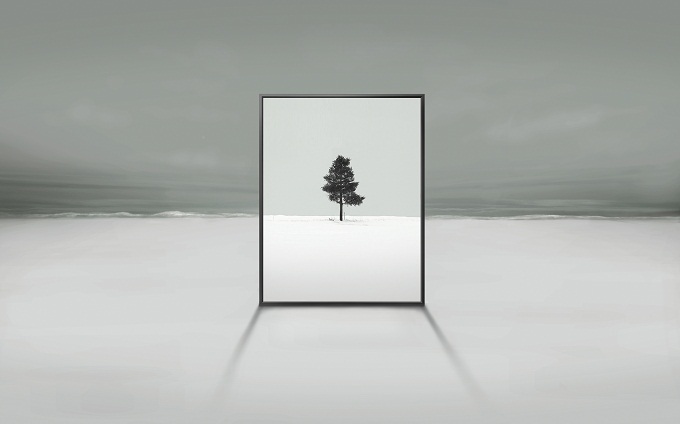 All these years we have seen TV’s to be in a landscape shape, but the picture posted in the blog shows a portrait shaped TV displaying a clear image of a tree in snow landscape or a desert or a beach. Think whichever you want to! From the picture, what we can deduce is that the image is much more clearer than the landscape which is not covered by the TV display. So is it a TV which will give us a clear crisp image even if the picture is dull and gloomy? No further details have been shared by Samsung yet on this ‘unprecedented new’ TV shape and all we can do is scratch our head to find out what the new TV will actually be like. Apart from this TV, Samsung will also be releasing its 85-inch Ultra HD TV in CES 2013 which is by far the largest 4k Ultra HD TV, with a display of 4×1080 pixels, to be in the market. Samsung will be unveiling their first multi-touch 24-inch display monitor code named Series 7 Touch SC770 which is specially optimised for Windows 8. It will have a resolution of 1920 x 1080p and has an adjustable stand which can be tilted and used comfortably up to 60 degrees. The monitor can identify 10 fingers at a time which mean you can use all your fingers to do any operation in it. 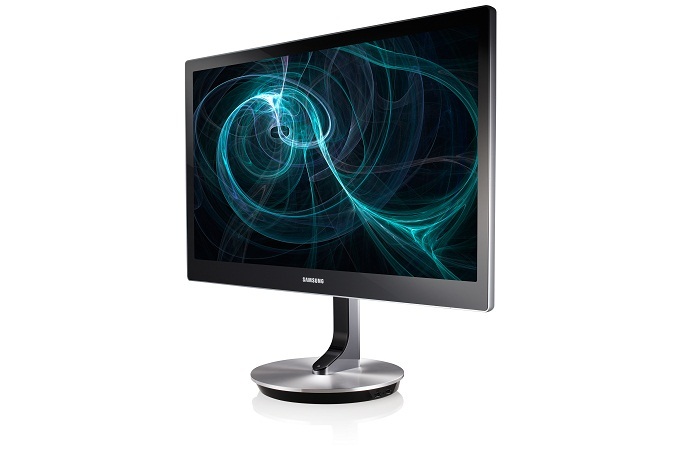 The other Series 7 SC 750 is a 27-inch monitor and does not support touch inputs. 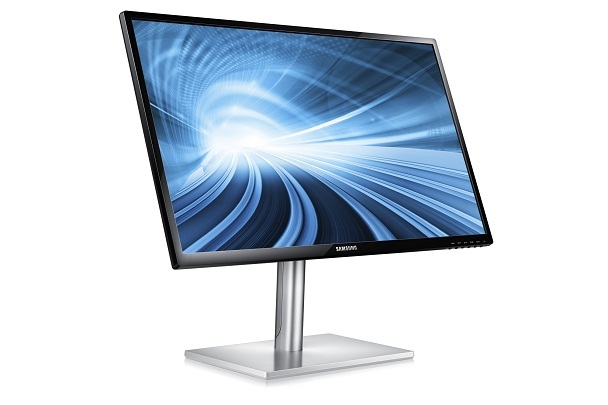 It has the same display resolution as the 24-inch one but this monitor can be rotated to 90 degrees giving the users and option to either view it in a landscape or a portrait mode. This does give us a hint on the new TV described above! Samsung has not yet revealed any prices of the devices listed above. Let’s wait till January 8 and look what Samsung has to offer us!